The Division, the latest game by French video game company Ubisoft, is already one of the biggest hits of the year, and has even beat its rival Destiny when it came to first-week sales. The Division is also a solid game by most accounts, with good action gameplay set in a post-apocalyptic New York City, and interesting role-playing and crafting elements as is the norm in Ubisoft’s recent games like Far Cry Primal. Also, despite The Division’s bleak outlook, there’s no doubt that the game’s New York City is beautifully recreated and accurate, with meticulous attention to detail on the part of Ubisoft’s designers. 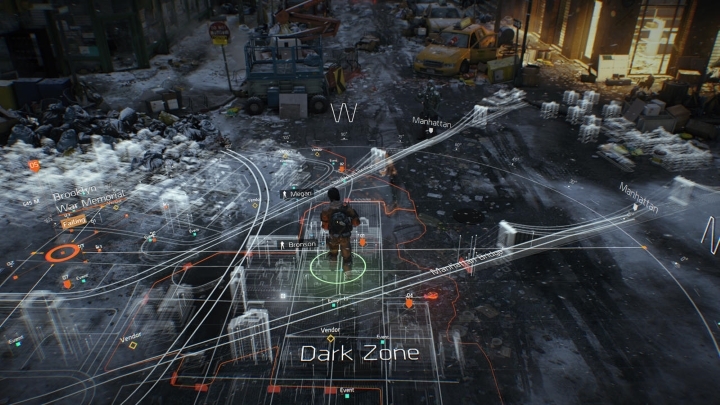 Although some players were wary that The Division’s map would not be big enough, especially after creative director Magnus Jansen made a statement saying that “For Tom Clancy’s The Division we are going with Midtown Manhattan. It is because of the 1 to 1 re-creation and the way the pandemic has [happened]. Basically, everything has been hit and there are no more resources because everyone tried to get out”. This meant areas like Brooklyn and Central Park would be left out, dashing the hopes of those who wanted the game’s city to be as close to real-life New York as possible. It is clear though, that there was no way that even a studio with Ubisoft Massive’s resources could create an accurate rendition of an enormous city like New York, so restricting The Division’s map to Midtown Manhattan was certainly a wise move. This would also allow Ubisoft to expand the game with new areas via DLC packs in the future, something that is extremely likely as rivals like Destiny have had big expansions released for them since its launch back in 2014. It turns out though, that The Division’s map size is actually quite big when compared to that of similar open-world games like Fallout 4 and GTA V. A YouTube personality that goes by the name MarcoStyle actually compared the game’s maps, and came to the conclusion that they were all roughly the same size. About Bethesda’s post-apocalyptic RPG Fallout 4, the YouTuber says it’s bigger than Skyrim’s huge map, and that it takes 9 minutes of real-world time to get from one edge of the map to another. But whereas in a game like GTA V one can get hold of a car or another vehicle easily and travel through the sunny streets of Los Santos quickly, players in The Division move around the game’s virtual Manhattan on foot, given how the city is in a state of disarray after the deadly virus attack. Also The Division has less “fast travel” points than a game like Fallout 4, and there’s more travelling from point to point on foot than in Bethesda’s game, actually making the city feel bigger than Fallout 4’s Commonwealth. And even if The Division’s urban and realistic landscape does not feel as distinct as Los Santos colourful avenues and landmarks in GTA V or Fallout 4’s ruined Boston, its similarity to real-life New York means players will end up becoming more familiar with the city’s streets and locations as they sink more time into the game. 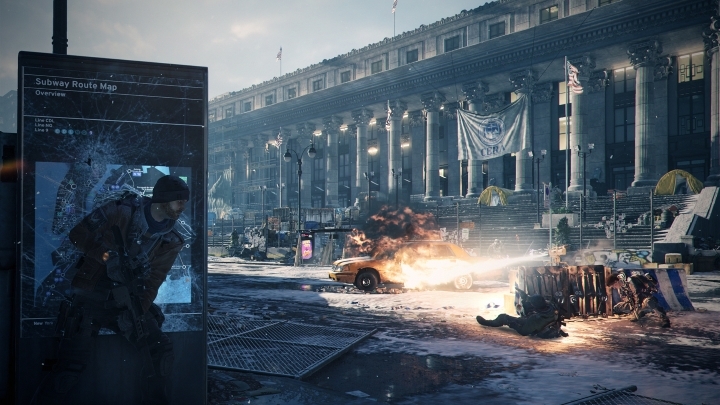 But still, it is clear that The Division still offers one of the biggest and most detailed video game playgrounds seen to date, which will hopefully keep growing with new content and expansions in the near future.